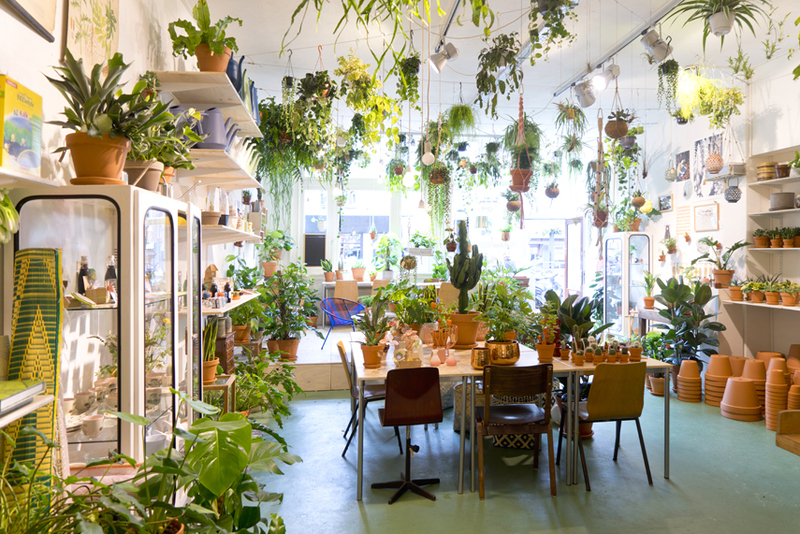 Mila, who used to be a freelance journalist, opened Wildernis with her friend Emma and together they turned their passion for plants into their own business catering to the growing plant-loving crowd of Amsterdam. 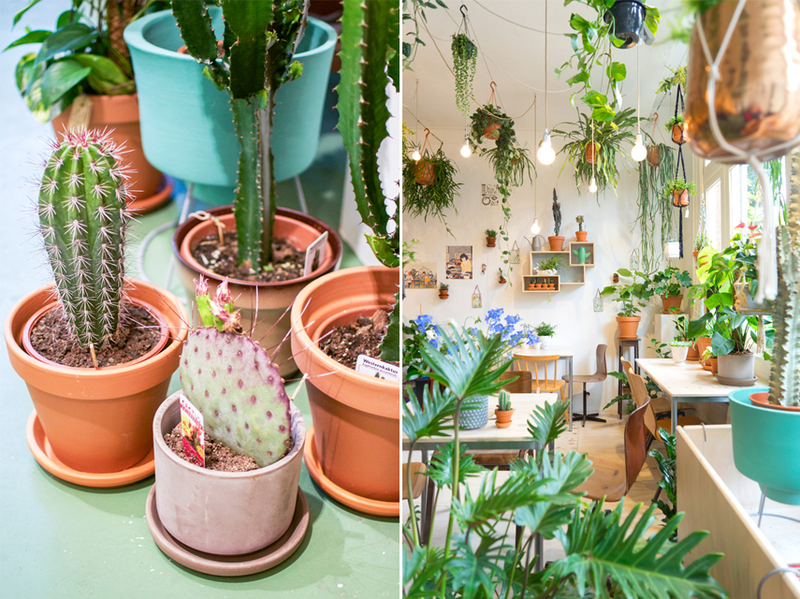 And since plants create cosy and comfy interiors, Wildernis is not only a shop to shop but also a place to immerse yourself into a green lifestyle and get inspired. 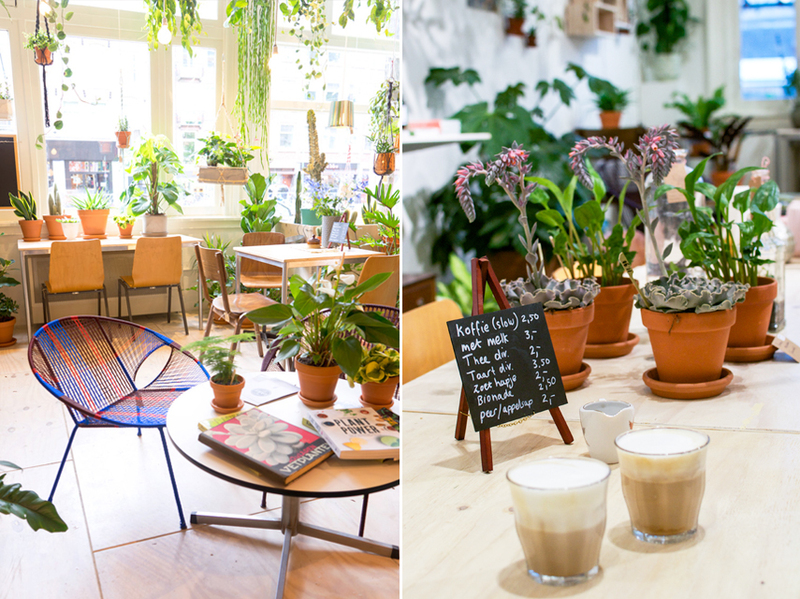 You can sit down, order coffee & cake, flip through various botanical books and chat with the shop owners: the experience is far more than mere shopping. 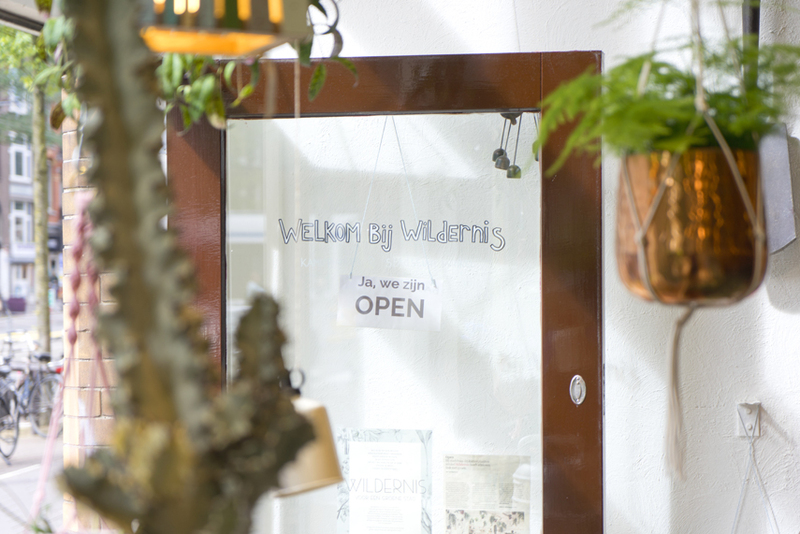 Wildernis is even more than shopping & relaxing because Mila and Emma also invite all kinds of green specialists to host workshops at the shop. 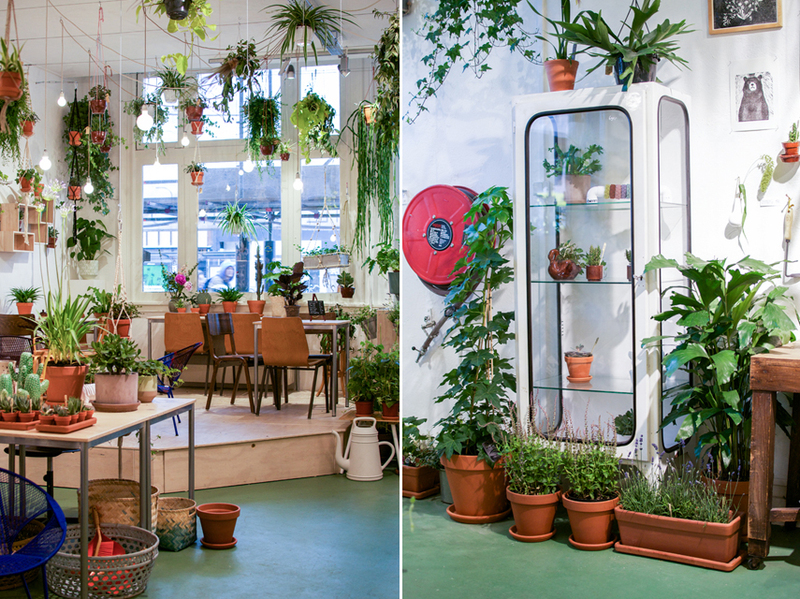 For example you can create your own macramé plant hanger (like the ones on the ceiling! ), learn about soil & compost, create a autumnal flower bouquet or learn about the basics of plant care. For an up-to-date list of all workshops, click here. 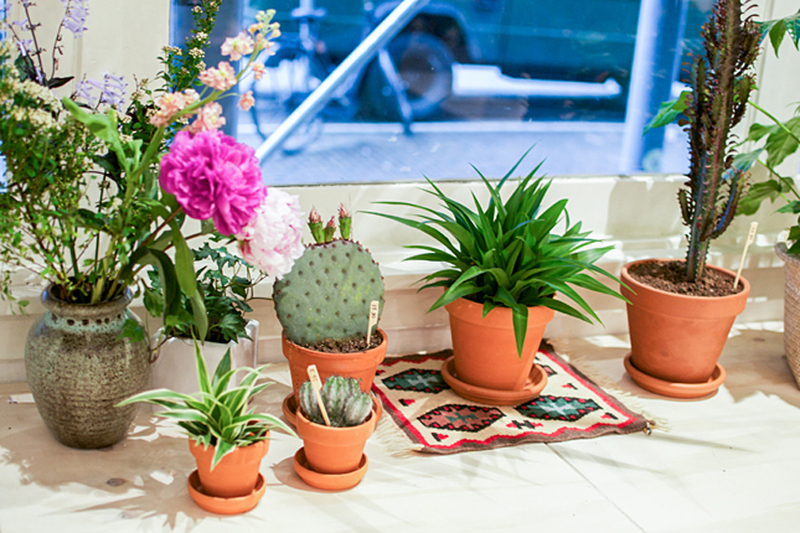 On October 18th, our friend Judith Baehner from Het Groenlab will teach you all about taking care of your plant(s). She will help you pick a plant according to your home and lifestyle and will prove your that taking care of your plants is just as relaxing as an hour of yoga! We wish we could join this workshop ourselves! Unfortunately we won’t be able to make it, but YOU can! 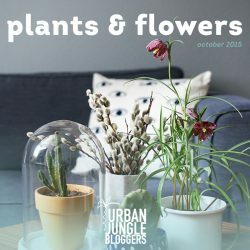 Together with Wildernis Amsterdam we are giving away 2 places for the Plant Basics workshop on October 18th from 13:00 to 15:00 in Amsterdam. Value per ticket: 25€ including tea/coffee and treats. The giveaway has closed and we have picked randomly two lucky winners: Congrats to Ageeth Mooij and Deepa! 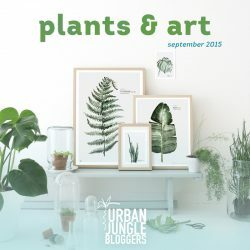 • Follow Urban Jungle Bloggers via Bloglovin / Facebook / Twitter / Pinterest.